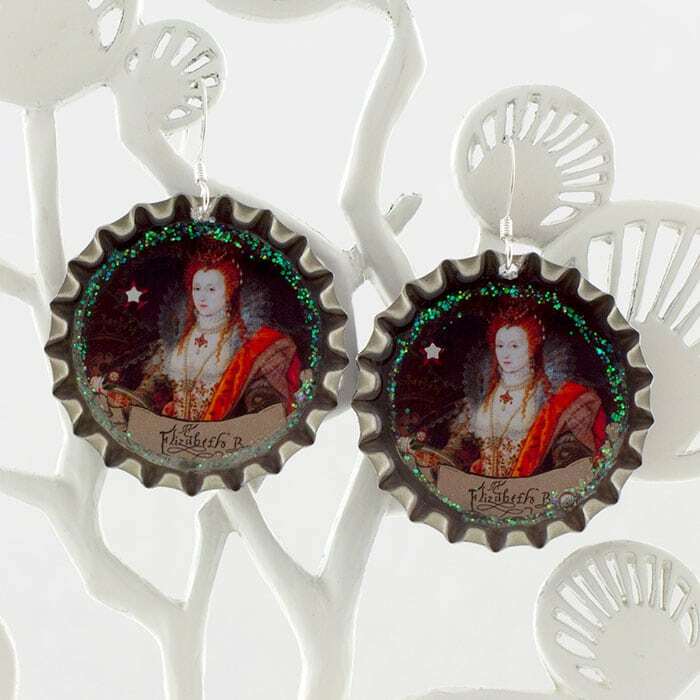 These beautiful, unique and collectible bottle cap earrings feature the Rainbow portrait of Elizabeth I. The inside of the bottle caps are decorated with gems and glitter. The miniature photograph is protected by a durable, archival resin that safeguards the image from water damage and fading. The top of the Bottle cap earrings are attached to Sterling Silver French ear wires.